What do zipping down the highway with your favorite Tom Petty song blaring and discovering an absurdly delicious secret menu item at a local Denver joint have in common? They're both freakin' awesome. So we teamed up with EchoPark Automotive (Mile High's newest neighborhood auto spot) to give you the scoop on (and seriously risk our waistlines for) the city's tastiest secret menu items. The mad scientists of dessert have been flying under the radar with a secret menu highlighted by the KGB Burger, a praise to their Chef Keegan Gerhard, not that one guy running things over in the former USSR. 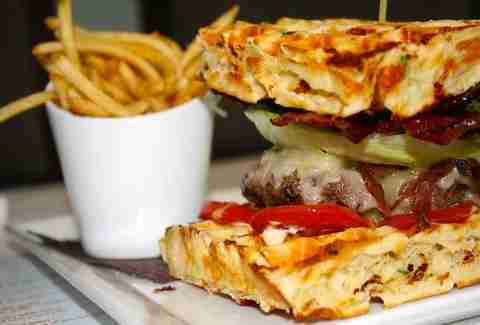 This burger is a monster: 3 Kobe slider patties, caramelized onions, bacon, and A1 aioli all sandwiched between two house-made cheesy waffles. Make sure you hit this place up when it reopens at it's new 19th Ave location in November. The new kids on the burger block are making lots of noise with their daily specials of chargrilled deliciousness. 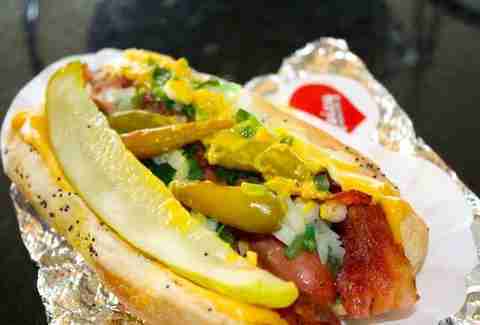 However, many do not know about their "Secret Insider Menu" that contains hidden gems such as the Frankcheesy Dog. This Vienna dog breaks all kosher laws by teaming up with two strips of bacon and melty American cheese. Sound like you belong there by asking for it with "the works" which includes mustard, relish, chopped onions, tomatoes, sport peppers, and a pickle. 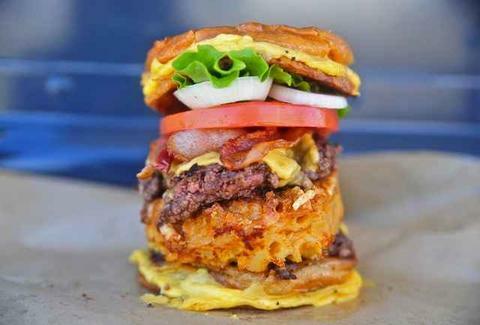 Just recently rolling into Denver with an absurd amount of off-menu burgers that you've gotta see to believe, BR's finest secret burger is the Emergency Bacon System. 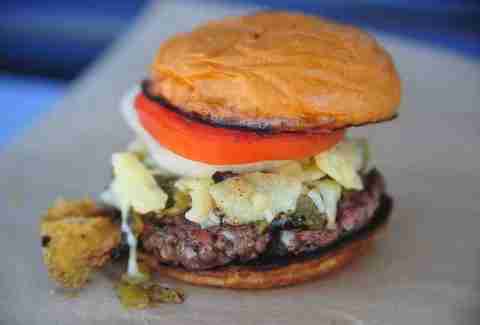 It's made with ground chuck and ground bacon that's formed into a mouth-watering patty, all smothered with white cheddar and green chilis. Ever wonder what royalty eats to cure their Sunday hangover? 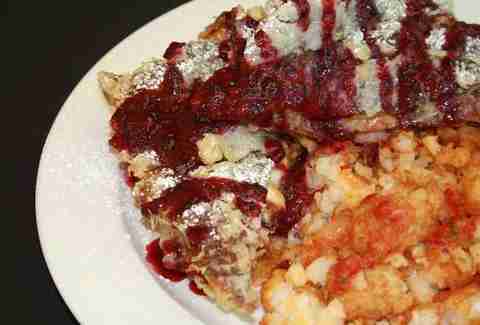 The crew over at the Arapahoe St standby The Lobby has a good idea with The Toast Cristo. This signature sammy combines French toast, bacon, ham, cheddar, muenster, and berry jam for a meal fit for a Count after a long night of medieval debauchery. It turns out that the kings of Kalua pork have been hiding a delicious foreign treat from us for a while now. 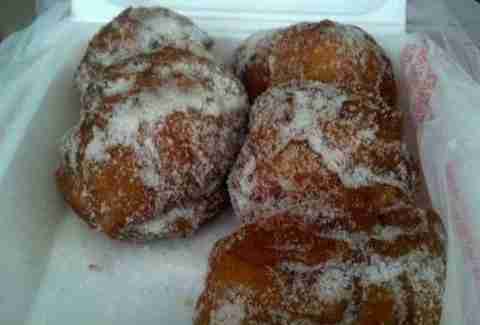 The pork palace offers delicious malasadas made in-house only Thursday-Sunday. These delicious, deep-fried bites of heaven can be served traditionally or with all kinds of fillings like chocolate or guava, and they're always coated in sugar. It's cool bro, you'll get a lift in tomorrow.